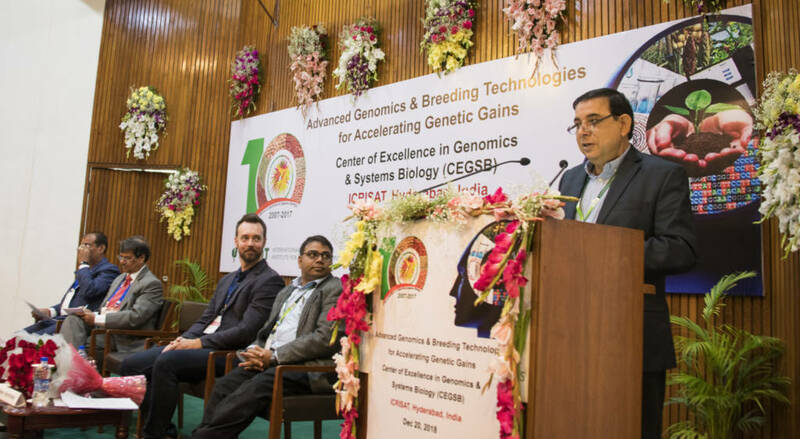 ICRISAT’s CEGSB organized one-day symposium entitled “Advanced Genomics & Breeding Technologies for Accelerating Genetic Gains” on 20 Dec 2018. The symposium brought together around 270 researchers and policymakers from 72 institutes of 13 countries. 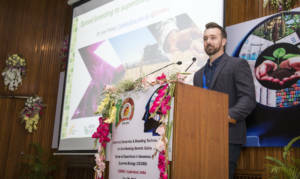 Dr Lee Hickey from University of Queensland, an innovator who optimized and promoted the concept of Speed Breeding and Dr Arvind Kumar, designated Director, IRRI South Asia Research Centre were two keynote speakers who set the stage for discussions. These keynote lectures were followed by two panel discussions- one on “Technological Interventions” and the other one on “Policy Interventions” needed for NARS partners to realize the full potential of modern genomics approaches for crop improvement. In these sessions many high level researchers and policy makers participated as panelists. The symposium was organized as part of 2 training course held during 10-21 December 2018 at ICRISAT, HQ, India. Miss Budget BeautyPowered by flickr embed. VI NGGIBCI Conference on Crop Genomics: Present & Future to celebrate 10th Anniversary of CEG was held during 6-8th December 2017 at ICRISAT successfully. 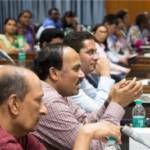 This conference brought 370+ participants from >139 institutes from 34 countries. The conference had a very rich scientific programme with eminent scientists, researchers and representatives from industry bodies presenting high quality science and best practices. The conference included 30 presentations across 5 sessions. The conference also had one panel discussion and a poster session where 79 posters across five themes were displayed that enabled young researchers to present their work and interact with eminent scientists from across the globe. The InterDrought-V (ID-V) was successfully held during Feb 21-25, 2017 at Hyderabad International Convention Center (HICC), Hyderabad. 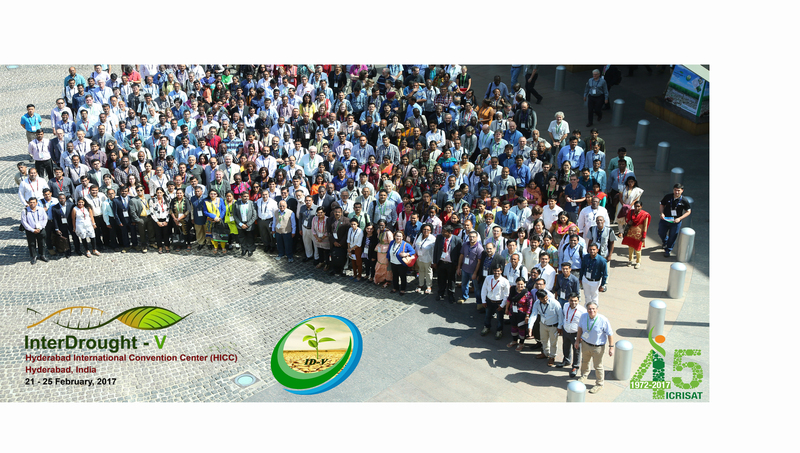 This conference brought more than 900 delegates from 315 organizations from 56 countries and has become the biggest ID-V held so far as well as the biggest event hosted by ICRISAT. This conference had a very rich scientific programme presenting high quality science. The conference included 23 invited and 26 contributory presentations across 8 sessions. In addition to the main conference, 55 presentations in 8 workshops and one panel discussion was also organised. Furthermore we had about 500 posters in two sessions that enabled young researchers to present their work and interact with eminent scientists. 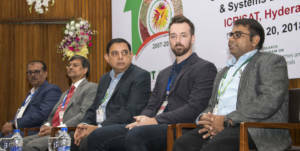 5thInternational conference on Next Generation Genomics and Integrated Breeding for Crop Improvement (NGGIBCI-V) was organized at the ICRISAT headquarters from 18 – 20, 2015. This conference was the largest conference in the series of our earlier workshops on next generation genome sequencing (NGS) data analysis organized in 2009, 2010, 2012, 2014 and NGGIBCI-V brought over >300 participants from 31 countries. This conference had a very rich scientific programme presenting high quality science with enormous impact on crop breeding. In total, 40 high quality presentations covering the use of next generation genomics for crop improvement across ten scientific sessions covering next generation genomics, Genome Sequencing and Germplasm Re-sequencing, Genomics Platforms, Trait Mapping, Genome Dynamics and Systems Biology, Genomics-Assisted Breeding – I & II, Climate Resilience Genomics and Breeding, Novel Breeding Approaches, New Horizons for Crop Improvement during three days. 4th international workshop on Next Generation Genomics and Integrated Breeding for Crop Improvement (NGGIBCI-2014) was organized at the ICRISAT headquarters from 19 – 21 February 2014. The workshop was the largest workshop in the series of our earlier workshops on next generation genome sequencing (NGS) data analysis organized in 2009, 2010 and 2012 and brought over 150 delegates from 20 countries. This workshop had a very rich scientific programme presenting high quality science with enormous impact on crop breeding. In total, 37 high quality presentations covering the use of next generation genomics for crop improvement across twelve scientific sessions covering next generation genomics, novel mapping approaches and QTLs, sequence to phenotype, genomics-assisted breeding, integrated breeding, breeding for target environments, genomic selection, decision support platforms for breeding, and new horizons for crop improvement during three days. ICRISAT’s Centre of Excellence in Genomics (CEG) organized this international workhop, as a part of Critical Focus Area (CFA)-Molecular Breeding, in collaboration with CGIAR Generation Challenge Programme (GCP) and Department of Biotechnology (DBT), Government of India, and in partnership with CGIAR Research Program (CRP) on Grain Legumes and CGIAR Research Program (CRP) on Dryland Cereals. The VI international Congress on Legume Genetics and Genomics (ICLGG) was successfully held in Hyderabad during Oct 2- 7, 2012. 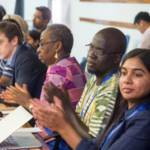 This conference brought about 520 delegates from 44 different countries and has become the biggest ICLGG held so far as well as the biggest event hosted by ICRISAT. In total, the conference had 63 presentations of which >50% talks were selected from the abstracts submitted. In addition to these talk, 293 posters were presented in poster session as well as in 1 min- window. Additionally, one session was devoted to talks from young scientists representing different countries, disciplines and crops. 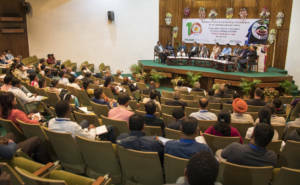 The conference had a balance of different disciplines ranging from very basic science like symbiosis, developmental biology to very applied aspects such as genomics-assisted breeding and harnessing germplasm resources. Similarly talks and posters covered not only model legume species like Medicago, Lotus but also crop species like soybean, cowpea, chickpea, lentil, common bean, pea, faba bean, mung bean, etc. On behalf of ICLGG International Advisory Board, Rajeev Varshney, Chair, VI ICLGG announced the venue of 2014 ICLGG meeting in Canada and the 2016 ICLGG meeting in China. Third International workshop on next generation sequencing data analysis & modern breeding approaches (August 29-31, 2012) was organized by ICRISAT in collaboration with CGIAR Generation Challenge Programme (GCP) at ICRISAT Campus, Greater Hyderabad, India. 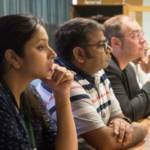 This workshop was being organized in continuation of earlier two workshops on NGS data analysis (please visit http://cegsb.icrisat.org/1-ngs.html and http://cegsb.icrisat.org/2-ngs.html). This workshop is a part of ongoing GCP sponsored project entitled ” Integrated SNP Mining and Utilization (ISMU) pipeline”. We organized a workshop on Next Generation Sequencing (NGS) Data Analysis during July 21-23 2009 at ICRISAT (http://cegsb.icrisat.org/1-ngs.html). The results of this workshop were very encouraging and many participants were benefited by their participation in this workshop (http://www.omicsonline.com/ArchiveJCSB/2010/March/02/JCSB-03-040.html). In continuation of the first workshop, we are organizing the second workshop on NGS Data Analysis at ICRISAT during 1-3 November 2010. Next Generation Sequencing (NGS) technologies enable the re-sequencing of entire plant genomes or the sampling of entire transcriptomes more efficiently and economically and with greater depth than ever before (see Varshney et al. 2009, Trends in Biotechnology). Rather than sequencing individual genomes, now it is possible to sequence hundreds or even thousands of related genomes to sample genetic diversity within and between germplasm pools. Identifying and tracking genetic variation is now so efficient and precise that thousands of variants can be tracked within large populations. These NGS technologies have significant implications on crop breeding. However, optimization and availability of appropriate methodologies and tools to analyze, visualize and intrepret NGS data are still in their infancy. 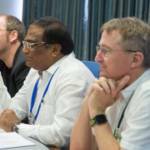 With an objective to help crop genetics and breeding community to utilize NGS data for crop improvement, Generation Challenge Programme and ICRISAT organized this workshop. More than 30 scientists, including 13 scientists from other countries (USA, UK, France, Korea, Japan, Australia, Mexico and Philippines) participated in the workshop. The workshop had four technical sessions and two brainstorming sessions in which participants shared their experience/views on data generation and analysis by using NGS technologies for accelerating plant genome research to understand genome dynamics as well as to facilitate crop breeding. ICRISAT in collaboration with Department of Biotechnology, Government of India and Generation Challenge Program (GCP – a programme of the CGIAR) has hosted the “2nd National Workshop on Marker-Assisted Selection (MAS) for Crop Improvement” during 27-29 October 2010, at ICRISAT Campus, Greater Hyderabad, India. The objective of this workshop was to create awareness among the crop breeding community in India about the latest developments in the field of marker assisted selection (MAS). For achieving this goal, the academic programme of the workshop also included presentations and discussions in the related fields of genomics, quantitative genetics and bioinformatics, that were relevant to a full discussion on MAS for crop improvement. The PIs/ Co- PIs/Collaborators of ongoing projects funded under the Accelerated Crop Improvement Programme (ACIP) of DBT and the senior scientists involved in evaluation and monitoring of these molecular breeding projects will participate in this workshop. Some senior scientists and experts both from India and abroad also joined as special invitees to deliberate on this important subject.